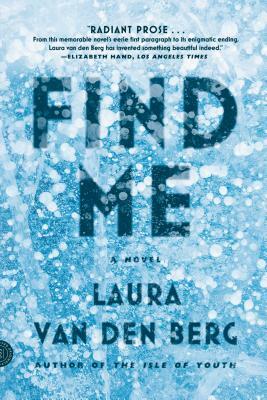 After two acclaimed story collections, Laura van den Berg brings us Find Me, her highly anticipated debut novel--a gripping, imaginative, darkly funny tale of a young woman struggling to find her place in the world. Joy has no one. She spends her days working the graveyard shift at a grocery store outside Boston and nursing an addiction to cough syrup, an attempt to suppress her troubled past. But when a sickness that begins with memory loss and ends with death sweeps the country, Joy, for the first time in her life, seems to have an advantage: she is immune. When Joy's immunity gains her admittance to a hospital in rural Kansas, she sees a chance to escape her bleak existence. There she submits to peculiar treatments and follows seemingly arbitrary rules, forming cautious bonds with other patients--including her roommate, whom she turns to in the night for comfort, and twin boys who are digging a secret tunnel. As winter descends, the hospital's fragile order breaks down and Joy breaks free, embarking on a journey from Kansas to Florida, where she believes she can find her birth mother, the woman who abandoned her as a child. On the road in a devastated America, she encounters mysterious companions, cities turned strange, and one very eerie house. As Joy closes in on Florida, she must confront her own damaged memory and the secrets she has been keeping from herself. Laura van den Berg is the author of two story collections, What the World Will Look Like When All the Water Leaves Us and The Isle of Youth, and the novel Find Me. Her fiction has received the Rosenthal Family Foundation Award from the American Academy of Arts & Letters, the Bard Fiction Prize, an O. Henry Award, and a MacDowell Colony fellowship. Born and raised in Florida, she lives in Cambridge, MA, with her husband and dog.